Clubs this pretty almost make the idea of hitting a Mashie or a Niblick desirable. 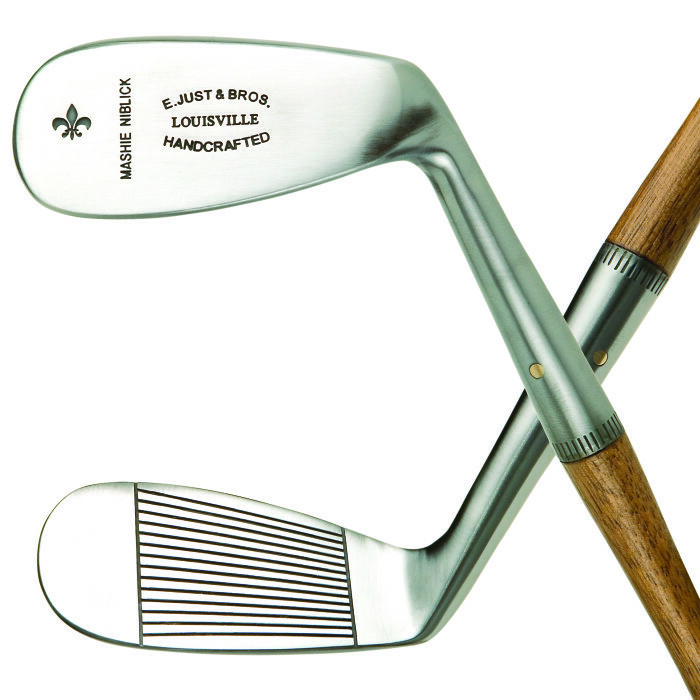 Check out Louisville Golf Clubs for more classic golf clubs of bygone eras. I forgot to post the results of the March Blog Poll Question in a timely manner. You know, sometimes life (fatherhood, career, husbandry, actually playing golf, etc.) just gets in the way of the brain functioning at a high level…if at all. Back in March, I asked you, Dear Readers, what is the longest iron that you currently carry in your golf bag. I am perpetually curious about this topic as hybrids and rescue clubs continue to proliferate in the golf equipment market. Despite my past ramblings protesting to the contrary, I will concede that a good hybrid club is much easier for the average golfer to hit, and much more forgiving on mis-hits and off-center strikes, than a traditional 2-iron, 3-iron, or even, perhaps, a 4-iron. The results of the poll surprised me a bit, in that there was such an even distribution of the variety of answers. 29% of respondents reported that their 3-iron was their longest iron. An equal 29% reported that their 4-iron was their longest iron. And yet, another 29% of respondents stated that their 5-iron was their longest iron. I was a little surprised that so many people (nearly 1/3, myself included in this group) still carry a traditional 3-iron. And kudos to the respondent that chimed in that his, or her, longest iron is a 6-iron while maintaining a 2.8 handicap index! Take a second and check out the full results below. March Question of the Month: What’s the longest iron you carry? ← June Poll Question: What is your favorite golf course souvenir?